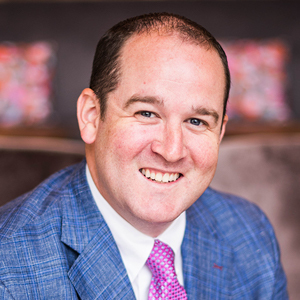 Jeremy Jordan grew up on the Virginia Peninsula, just like many of his clients. Nearly 1,000 Peninsula home buyers have trusted Jeremy to help them with their mortgage loans. He is experienced in all loan programs,including reverse. We have one goal in mind – to help me help you get the home of your dreams. Teamwork does make the dream work! Jeremy is an advocate for the Poquoson American Heart Association and is an active member on many boards at Trinity United Methodist Church in Poquoson. He is a member of the Poquoson Lions Club, a community service organization and the Poquoson Educational Foundation. Samuel H. and Kelsey H.
Jeremy was amazing. Did his job well and was always there when needed. Outstanding service and experience. Mr. Jordan did an exceptional job. Richard M. and Emily M.
Very pleased. Quick and easy loan processing with an attentive broker. Dear Jeremy, because of your professional and personal advice and care, a great burden was lifted off of my shoulders! Thank you for the loan, refinancing and being an honest friend! William V. and Valdemira V.
Jeremy performed all aspects of the mortgage process in a truly outstanding manner! He was immediately on top of all my question with accurate answers. He is a true credit to your organization! Thank you! Jeremy worked almost non-stop- he's the best! Jeremy Jordan was friendly, knowledgeable, and extremely helpful in our refinance process. He is an outstanding individual. Thank you Jeremy! Very positive experience. Steven J. and Sandra J.
Jeremy made the entire process smooth and easy. He was available to fit our schedule and very professional. Mr. Jordan made my experience efficient and very understandable he took time to meet with me to make sure I was knowledgeable of all my options on which ones weren't in my best interest. Mr. Jeremy Jordan has provided me with excellent service over the last few years. I will continue to use and refer him and ABMG. Mr. Jordan is one of the most hardworking professionals I have ever done business with. I had a wonderful experience working with him. Everyone of my questions were addressed and answered in explicit detail. With the help of Mr. Jordan and ABMG I have become a happy first-time home owner. I would gladly recommend Mr. Jordan and, by extension, AMBG to any potential home buyer, first-time or otherwise. Jeremy was great! I can't thank him enough! Kevin K. and Deborah K.
Bill Y. and Kathy Y. Great job as usual. Jeremy is first class! Jeremy; Atlantic Bay Mortgage Group/yourself have made my refinance experience a pleasure thank you and God Bless. Ashley C. and Christina D.
Jeremy did an excellent job. Jeremy was super professional through the whole process and answered all of our questions promptly and completely. I would definitely talk to Jeremy again to finance my next home. Tommy D. and Meghan J.
Jeremy Jordan was a pleasure to work with. He answered all of our questions in a timely manner. He made the process very smooth. We will definitely use him in the future! Jeremy Jordan and his team are excellent. They helped me refinance when no one would help me. They were quick and professional. Very friendly and helpful. Will use them again in the future. Andrew L. and Kathryn L.
Jeremy was exceptional! He got us approved within a day which allowed us to put on offer in on a home we loved within another day! We would recommend ABMG to everyone! Very professional and worked very well with the VA Loan. Jeremy was amazing and got us exactly what we wanted. Jeremy was a pleasure to work with. I feel that he went above and beyond for us. Jeremy Jordan was an excellent person to work with. Only issue we came across was the final paperwork on closing day; but issue was resolved quickly and professionally. The trouble and effort by Jeremy was great. I can not be more happy with the service for my whole family. Thanks so much. Most excellent service- great job! Very friendly and personalized! It's nice when people remember a client and you're not just another number. Plus (Jeremy) my father always said a good firm handshake represents good business ahead- and it did. Don't know anyone moving but we kept your card. Jeremy took extra special care of my family's needs. It was a difficult close and he made it happen! Jeremy did a great job and helped us with everything needed and asked for. He was a good deal of help and we loved him. I already have recommended to friends. I know it was a long process, but thanks for hanging in there with me. Katie H. and Joseph C.
Service was outstanding! Jeremy went above and beyond to get everything taken care of in a timely manner. Thank you! Thank you for everything you did! Jeremy, you went above and beyond my expectations! Jeremy went the extra mile! You should give him a raise! Jonathan N. and Rebecca N.
Jeremy was very helpful. He answered/explained everything we needed to know. My experience as a first-time homebuyer was successful thanks to Mr. Jordan's 'go get'em attitude.' Thanks for your excellent service. Jeremy was awesome to work with. Very professional, very honest and he took the time to explain pros and cons of all options. Jeremy was great- I hope he is still around when we need mortgage services again! Gregory P. and Frances P.
We really appreciated Jeremy's presence during our refinance. We had a few feats and he took the time to explain things well to us both . He's great at what he does. Daniel R. and Laura R.
Jeremy was an absolute pleasure to work with and we highly recommend using ABMG and Jeremy. Horace U. and Patricia U.
Mary M. and Gordon M.
Jeremy was wonderful! Our real estate agent told us that Jeremy could get loans done quick when other people can't, boy was she right! I am very happy with the service Jeremy provided me. He cares about his customers. David W. and Jeannette W.
Thompson S. and Jean S.
Jeremy Jordan went above and beyond to help me get my first house and I love it and any people I come across that needs a house I will refer ABMG and Jeremy Jordan. I would not get a house without him, thank you!! Zachary M. and Laura M.
Richard G. and Mary A.
Great- Jeremy was special and understanding. Mr. Jordan is one of the most hardworking professionals I have ever done business with. I had a wonderful experience working with him. Jeremy was great. The purchase of my home went smooth, no problems at all. They were ready days before we were ready to close. Justin F. and Sarah F.
Jeremy was great to work with! Thank you for talking us through our first home buying process! I have recently closed on a home loan with your company Atlantic Bay and wanted to tell all about my experience. I had recently tried through Veterans United Home Loans and after almost three months of what felt like a complete run around they told me there was nothing they could do for me, which was a big upset, but thanks to my realtor Danielle Remy, she put me in contact with Mr. Jordan. A short time later we moved into our first home. I am an active duty military member and hold a position that does not allow me to be easily reached, but you always answered my calls although extremely late and gave me the information that was needed and honestly realy straight forward only asked once for the information. So I would like to end this email with my family and I are very proud of our new home but we know very deeply that this great milestone could not have been accomplished without Atlantic bay mortgage and also want to thank Jeremy Jordan and his team for there help. For a first time home buyer, the experience can be scary and stressful. ABMG helped me through the hurdles and made this a great first experience for homebuying. Thank you. Douglas J. and Heidi J. Great experience! We will definitely recommend Jeremy for anyone needing a mortgage. Charles L. and Donna L.
Jeremy was there to answer all of my questions and worked with me to get the figures where I wanted them. Andrew S. and Suzanne S.
We had a great experience obtaining financing through ABMG. Jeremy was very professional, provided timely communication and answered all of our questions throughout the process. We would definitely recommend Jeremy and ABMG to friends and family. Jeremy was awesome! We had our loan processed in 3 weeks! My loan experience with Atlantic Bay and Jeremy Jordan was exceptional. He got my closing done exactly when I needed to close with no complications. Jeremy made the loan process very easy. Patti T. and David H.
Jeremy was great. Fast. Efficient. Egardo D. and Rosangela D.
Jeremy worked really hard to get our loan done. David R. and Andrea R.
Jeremy Jordan was always available for any questions I had. He was very accommodating in advising me about all loan options best for me. Awesome experience. Austin L. and Brittney L.
Jeremy and his staff were so sweet and helped me with any questions I had. As a first time homebuyer, Jeremy with Atlantic Bay Mortgage Group took the time to explain the process and helped me understand. The entire process was organized and painless. Susan E. and Kevin E.
Jeremy performed at the excellence level. We enjoyed working with Jeremy and his team. The process was quick and efficient and they made it stress free as possible. Ben M. and Ashley M.
My mortgage banker was so patient and truly went to work hard for us and we appreciate it. Darden B. and Amanda B.
Jeremy was so helpful to us as we were first time homebuyers. He guided us seamlessly through the process. Daniel K. and Samantha K.
Jeremy did a great job of answering all of our questions, and he even came over to our house one evening to walk my husband through all the paperwork. We really appreciate it! Jeremy provided great customer service and was knowledgeable, effective, and efficient. Mr. Jordan was exceptional and is one of the best I have ever come across. He made us feel at ease and was punctual with phone calls and such. On a scale from 1-10 give him a 15. Jeremy was great and helpful! Travis C. and Michael C.
We cannot thank Jeremy enough for everything he has done for us. It has truly been a pleasure working with him, and we appreciate all he has done for us to have our dream home. I want to thank Jeremy for all of his assistance with the purchase of our new home in Newport News. It's always stressful buying a new home, and when you're doing it on top of a move from out of state it's much more difficult. Jermey was truly wonderful to work with, responding quickly to all of ur questions and ensuring that we were kept well informed. I can't imagine how he could have made our transition any easier. If we ever need someone to go to here in Newport News we'd absolutely select Jeremy. John T. and Nancy T.
Jeremy was very helpful to us while buying our home in Williamsburg. He and Atlantic Bay Mortgage Group were able to step in on short notice and manage a complicated purchase. They made us a competitive offer and pushed hard to make sure the closing happened on time. We know it wasn't easy, and appreciate all the extra effort. Ben M. and Sharon M.
The refinance process was like an 'easy button.' Jeremy Jordan and Carly are a great team and this is their second time working with our family. We were not disappointed! Atlantic Bay Mortgage Group has displayed outstanding professionalism. Refreshing! Danny M. and Donna M.
Jeremy was very efficient and was extremely helpful with the loan application and all the other aspects of getting a loan. Derek G. and Jessica G.
I enjoyed working with Jeremy and Atlantic Bay Mortgage Group. Stuart J. and Sally J.
Jeremy Jordan is top notch! He is extremely knowledgeable and professional and we will continue to be repeat customers! Everyone was great to work with and knowledgeable. Joshua J. and Katie J.
Jeremy was amazing! Thank you! Jeremy was very polite and efficient. Frank C. and Donna C.
Jeremy was very helpful and understanding through the process. Everyone worked as a great team! Jerrald N. and Holly N.
Jeremy went out of his way to be available and make the process as easy as possible. We really appreciated all of the hard work, patience, and assistance from Jeremy and the rest of Atlantic Bay Mortgage Group throughout our loan process and home buying experience. Clinton P. and Bridget P.
Jeremy was great and was always quick to respond to any questions we had! His team was also amazing! Warren H. and Carrice H.
It was a pleasure working with Jeremy as he was readily available when we had any questions. Many thanks also to his assistant Carly. Jeremy Jordan pays extra attention to the needs of his clients and readily returns calls and researches information as needed. This is the second loan that I received from Atlantic Bay Mortgage Group working with Jeremy. His professionalism and personal touch is unmatched, and he has earned a lifelong client. Kenny B. and Vickie B.
Jeff S. and Cheryl S.
We love Atlantic Bay Mortgage Group and Jeremy! Mike D. and Sue D.
Jeremy did a good job. Not many mortgage bankers will bring the paperwork to your office to complete, but Jeremy did. It was a personal touch in a world of electronic everything. Mr. Jordan was very quick and thorough with getting everything together and communicating with us. Atlantic Bay Mortgage Group made purchasing my new home easy and stress free. Everyone was very professional and quick to answer my questions. Shane C. and Kayla C.
I already have referred multiple people to Atlantic Bay Mortgage Group. Jeremey is truly top notch! This is our third time using Jeremey, and we are so glad we found him! I am very satisfied with Atlantic Bay Mortgage Group because I had all of my questions and concerns answered in ways I could understand and in a timely manner. Mr. Jordan was very professional and caring, taking care of everything. Jeremy was very customer oriented, organized, and knowledgeable. Jeremy and his team made themselves very available and offered assistance through the entire process.